My seweet life between dentistry, marriage, and motherhood. I am sure that you have gathered that I enjoy making things for the babies and kiddos in my life. I absolutely adore something handmade for a brand-new baby! Whether it’s clothes, hats, burp cloths, car seat covers…I love it all. Not to mention that most baby projects are pretty fast and easy, which works for me these days! One of John’s band member’s is expecting his second child in May (or rather, his wife is expecting…). The little pup’s gender is currently a surprise. 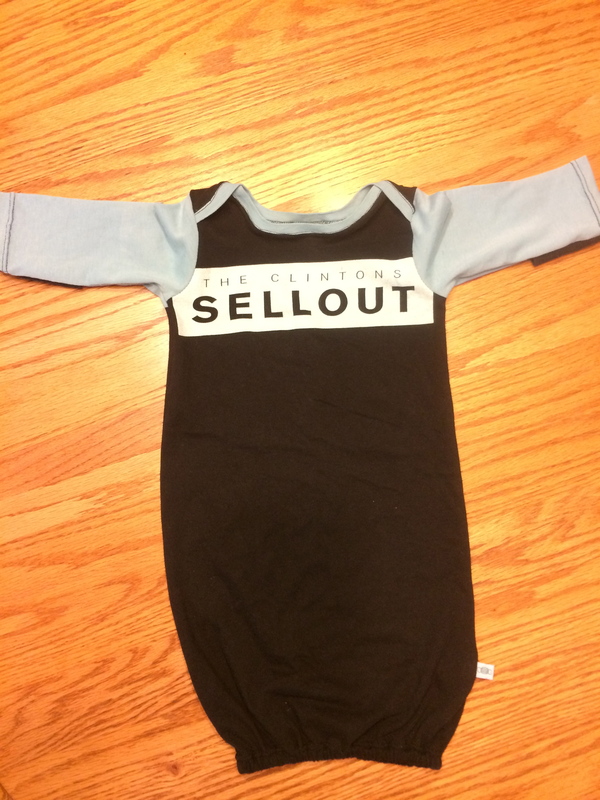 I wanted a gift that was fairly gender neutral, but definitely wanted to use a Clinton’s T-shirt. 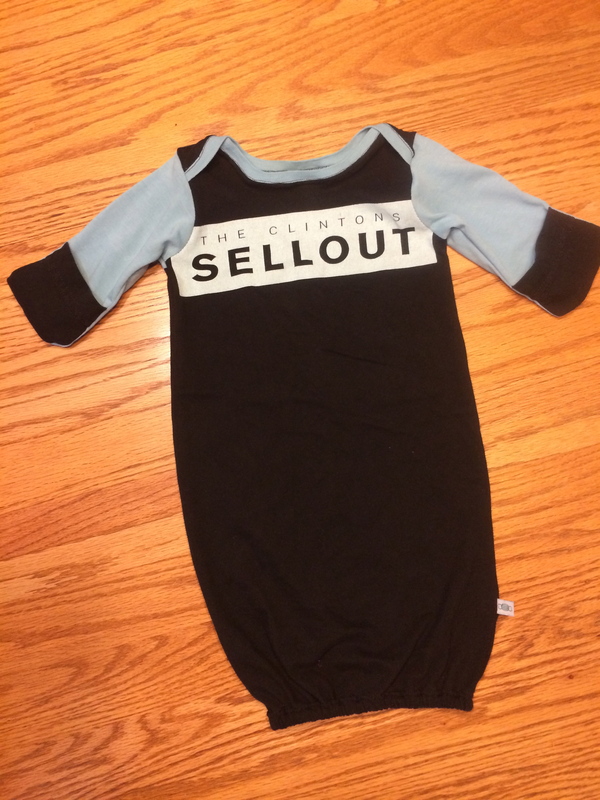 I found the Rockin’ Baby Gown Tutorial awhile back and knew exactly which shirt I was going to use for it. This is a great tutorial from thismamamakesstuff.com. It was easy to follow and the pattern didn’t have any hiccups. The main body is from the original t-shirt. 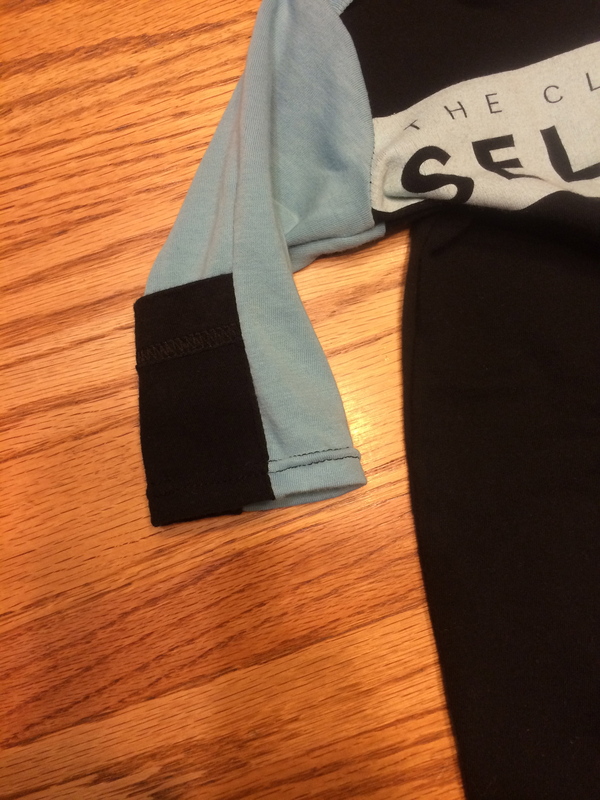 The blue sleeves and collar are from a second t-shirt. 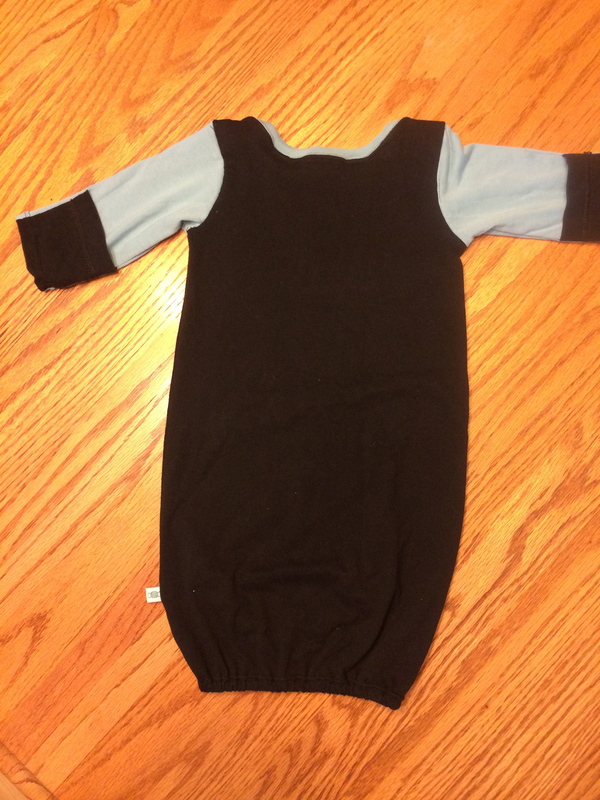 The pattern came with the fold-over sleeve modification, which is perfect for new babies so that they don’t scratch themselves. Just a close-up of the sleeve. I used a twin needle to hem the sleeve and neck, which gives it a nice professional-looking finish. The blue material was a little more difficult to sew because it stretched a lot. I had to decrease my presser foot tension to feed it more evenly. I modified the neck edge slightly to accommodate the contrast knit ribbing instead of hemming the neck edge. Other garment finishes included serging the edges after sewing the seams at the proper seam allowance. All in all, an easy tutorial to follow, and great up-cycle. The finished product is also awesome! I loved these type of gowns when my boys were newborns! They made middle of the night diaper changes super easy–no snaps or zippers to deal with!